Nearly 20 years ago, was leaning against the wall to the right of the image frame, remember Claw and Woodie being so vocal in the leadup to the try. Just have an inkling this year lads. Viva la Rojo Brigade. Well my bouche is suitably amused! 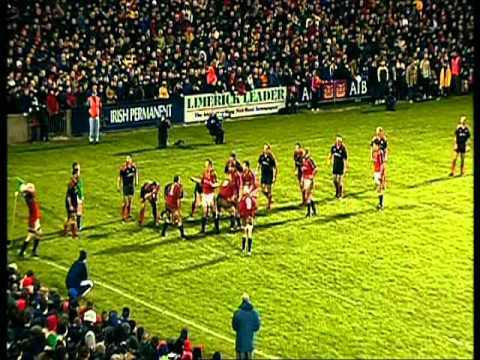 I’ll never forget that first Thomond Park encounter. What a game. The odds are fairly close.1/3 and 12/5 with handicap -7. With a fan ratio of probably at least 2/1 for Munster it will be some occasion. Probably still a couple of players short of a HCup winning team - but probably better now than the previous (Munster) winners. Fun fact, in the history of the Heineken/Champions Cup, Munster have won all 4 QF/SF appearances in England. Versus Tiger in 02/03, Glaws and Sarries in 07/08 and Quins in 12/13. I remember ten years ago when a team who had given their QF opponents a "Damned good thrashing" at home, played one who had barely scraped through their away QF. When it came to the SF, the latter team won and went on to win out as well. Piquet, the Munster Junior Clubs Challenge Cup doesn't count. As long as we take every 3 points on offer, and keep pushing the scoreboard. 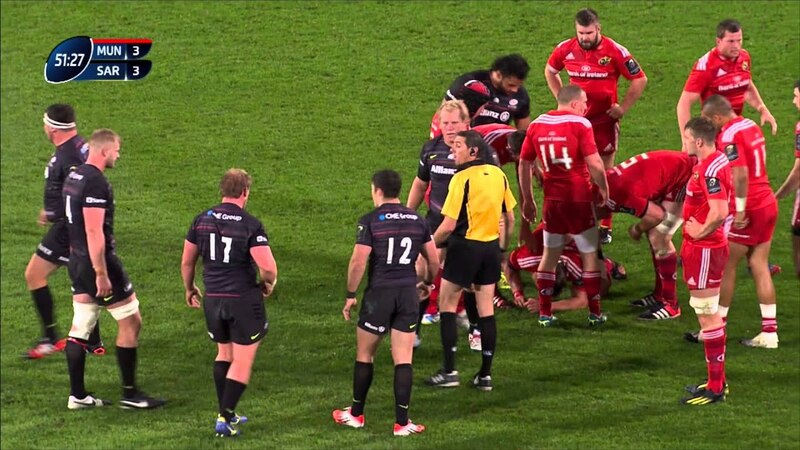 Nothing silly like choosing a scrum against a strong pack. Kick everything. Sarries pride themselves on their defence. Don't waste any chances, we wont have many. We’ve got Garcès for the semi final. Leinster have Wayne Barnes. Last edited by Stringer9; 5th-April-2019, 10:29. I think the fact we had a tough game vs Edinburgh will really stand to us. They aren't getting enough credit for how much they have improved and likewise we aren't getting enough for overcoming a tough challenge. The only part we need to be careful with is the kicking game but while I really feared them in 2017 I don't now. And Itoje chipping in with his comments on Beirne really fuel the fires. Exeter are the only team that comes close to them in England and we've handled them and we've improved since then imho. We'll need a dollop of luck, as you always do, but this is as big as a final for these players. I think they're up to it. True. Also, we play better now than we did then...even allowing for the fact that they were extremely good then. I don't know how much better we are now or nor how the current Sarries team compare to their 2017 team, but I think the gap has closed a lot. This is going to be close, with us as the underdogs who have a real chance to do something great.